Industrial Sector Overview | Liesfeld, Contractor Inc.
J.E. 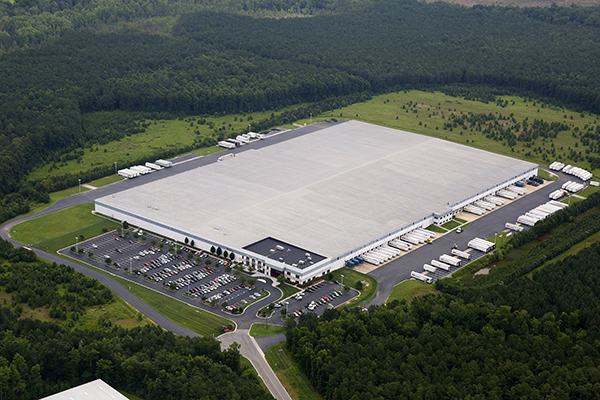 Liesfeld Contractor, Inc. has been involved with many of central Virginia’s largest distribution center and industrial projects. Liesfeld has earned a reputation of delivering large-scale industrial projects within budget and ahead of schedule. There are two distinct facets to distribution center construction, speed and knowledge. We’ve completed industrial building pads from 1,000,000 SQFT to 25,000 SQFT. Liesfeld’s pre-construction capabilities present themselves when taking a client’s schedule and bringing those milestones to reality. Liesfeld has taken what our competition deems “impossible” and delivered it earlier than planned. In 2011, J.E. 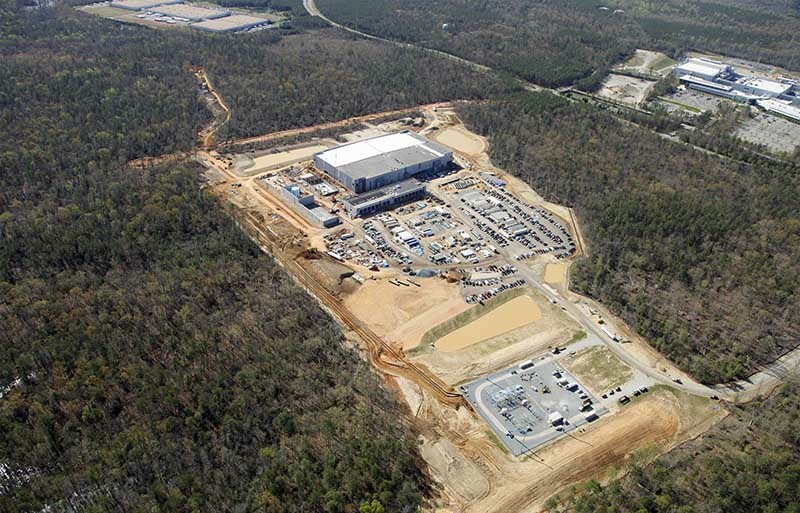 Liesfeld Contractor, Inc. went to White Oak Technology Park to perform the site construction for the Confidential Client Data Center. In July 2011, Liesfeld began clearing, by early August the building pad was turned over to Balfour Beatty Construction (General Contractor). This accomplishment alone was said to be “impossible” by most everyone. Liesfeld brings several key elements to the table for quick turn-a-rounds. 1.) We’re a local company – J.E. Liesfeld Contractor is community based and community centric. The Liesfeld family of companies are 100% local with all of its employees and facilities located in central Virginia. Liesfeld is one of the most experienced firms in central Virginia bringing to the table the most qualified local subcontractors and suppliers. 2.) Relationships – The foundation of Liesfeld is forty-one years of experience and relationships arising there-from, from civil/geotechnical engineering firms to local/state government agencies. Liesfeld has built a network of relationships that stretch across the state. These relationships come into action when working with the all the players involved in complex erosion control sequences that can affect building pad milestones. 2.) GPS Capabilities – Besides the utility construction…Liesfeld uses very few stakes since the majority of our fleet of heavy equipment is GPS equipped. This capability allows for quickly adapting to design changes and shortens the time between engineers and heavy equipment operators. J.E. Liesfeld Contractor, Inc. has one of the most diverse portfolios of any Virginia site contractor and with that comes a value that we understand our clients needs from industrial, commercial, federal, residential, transportation, land fill, mining and more. This experience is un-paralleled because we understand our client’s point of view from scheduling, accounting, quality control, safety and performance. Liesfeld whenever and wherever possible stresses the “long term” view of any business relationship and approaches problem resolution by endeavoring to reach equitable solutions for all of the stake holders involved in any particular project challenge. Clients look to Liesfeld to deliver complex projects in challenging environments throughout Virginia. This entry was posted in Business Development, Project News. Bookmark the permalink.